While the first day of Fall doesn’t start until this Saturday, it certainly feels like it is well underway throughout the Greater Yellowstone Region. Cooler nighttime temps and crisp mornings have the leaves turning colors in sync with our resident brown trout, and everyone around here is starting to get their streamer boxes in order for the big season ahead. 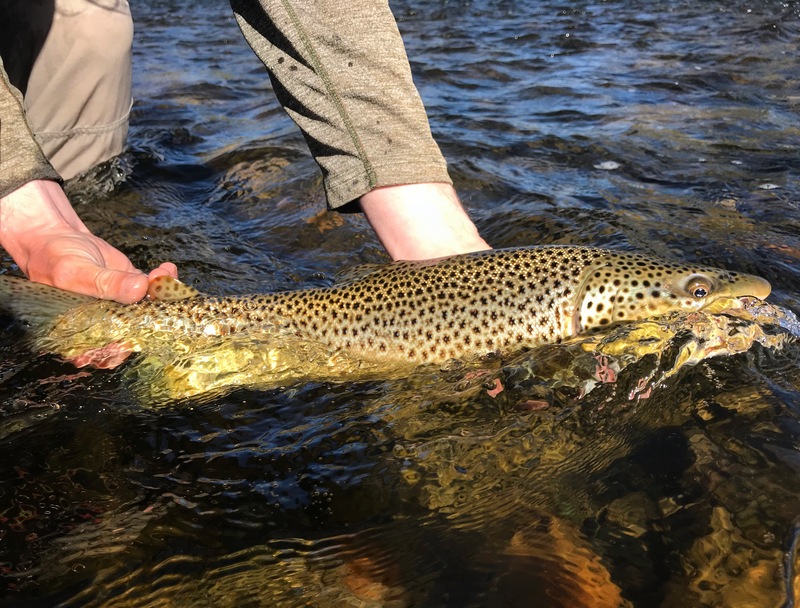 Fishing has remained steady throughout the Upper Madison, with nymphs and streamers being the primary focus over the last week. On the warmer afternoons we are still getting some really nice fish to eat the hopper, and both the pink and gold Morrish Hoppers in size 8-10 have been some of our more consistent imitations throughout August and September. Our best guess is that we will have another week of decent terrestrial fishing before we say goodbye to the best hopper season we have seen in a very long time. 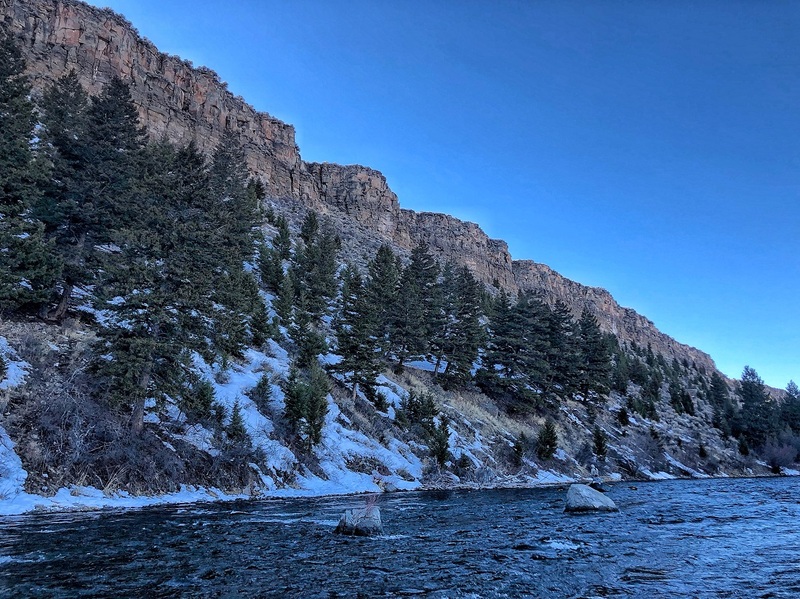 We have also seen decent numbers of Blue Wings and Pseduos hatching on the cloudy afternoons, and you can definitely find some heads poking up in the wade stretch between Quake and Lyons on those overcast days. Nymphs remain the most productive way of getting into fish, and smaller patterns synonymous with midges and baetis nymphs will be the ticket from here on out. Green Machines, RS-2s, Zebra Midges, Galloup’s BWO nymph, Barr’s BWO Emerger, and $3 Dips should always be in the rotation this time of year, but don’t neglect the smaller rubber legs and San Juans as we move closer into October. Obviously there have been a LOT of streamers going out the door over the last several weeks, and the bite is really just getting going. As usual, mornings and evenings have been the most consistent especially when targeting fish on larger articulated patterns. Envys, Dungeons, Boogie Men, and Double Screamers in darker colors seem to be doing the most damage during these periods of low light, but we are still doing best on smaller sculpin and baitfish patterns during the late morning and afternoon hours. A lot of people have been in search of migratory fish out of Ennis, Quake, and Hebgen lakes but it is still a little early. 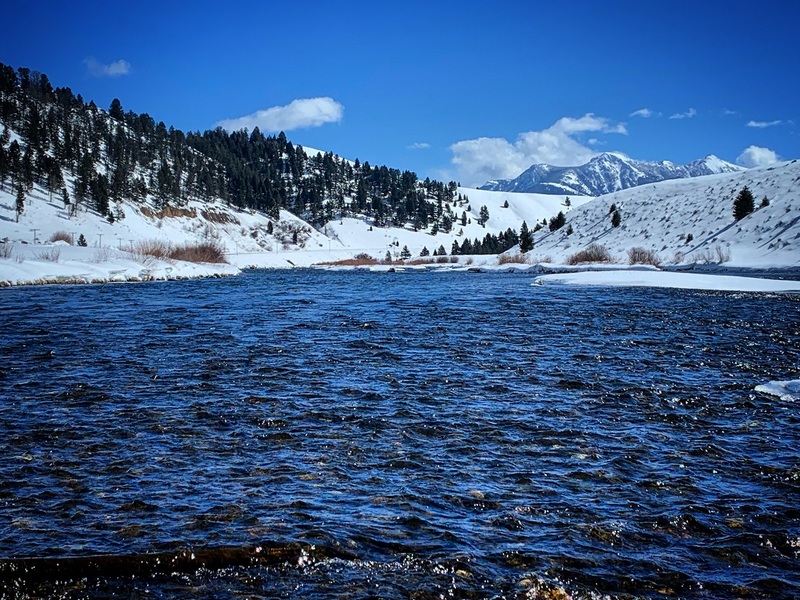 If you are looking for one of those fish you will want to stick to the Madison in the Park for now, as we haven’t seen a lot of larger fish coming out of Ennis or Quake quite yet–That should change here in the next several weeks though. We still have float trips available during October if you are looking to get in on the Fall steamer game, and you can contact the shop at (406) 682 4804 with any questions. Getting excited Johnny! I’m more than ready for the floats!